Roxbury Russet is perhaps the most popular russet apple grown in the south. 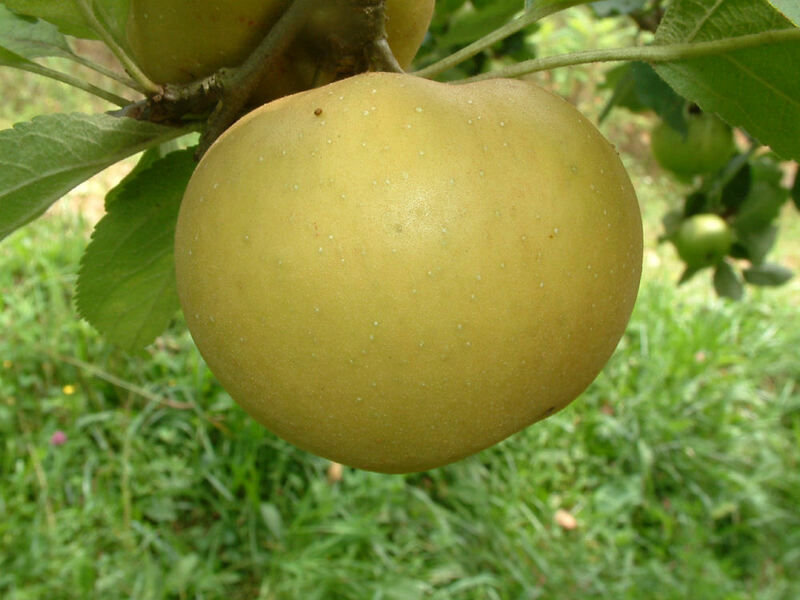 It is the oldest American apple and was introduced in Roxbury, Massachusetts with the arrival of the Pilgrims. Fruit is medium to large with dull greenish-yellow to golden colored skin covered with a rough brownish-yellow russet coat. The greenish-white flesh is coarse, firm and juicy with a pleasing, brisk flavor. Ripens September to October and is a very good keeper.